What is it that God requires of us if we wish to enter the kingdom as children of God? This is what your God requires of you . . .
And when we ask, can we say that we can put aside our willfulness to listen for God’s voice? Do justice . . . 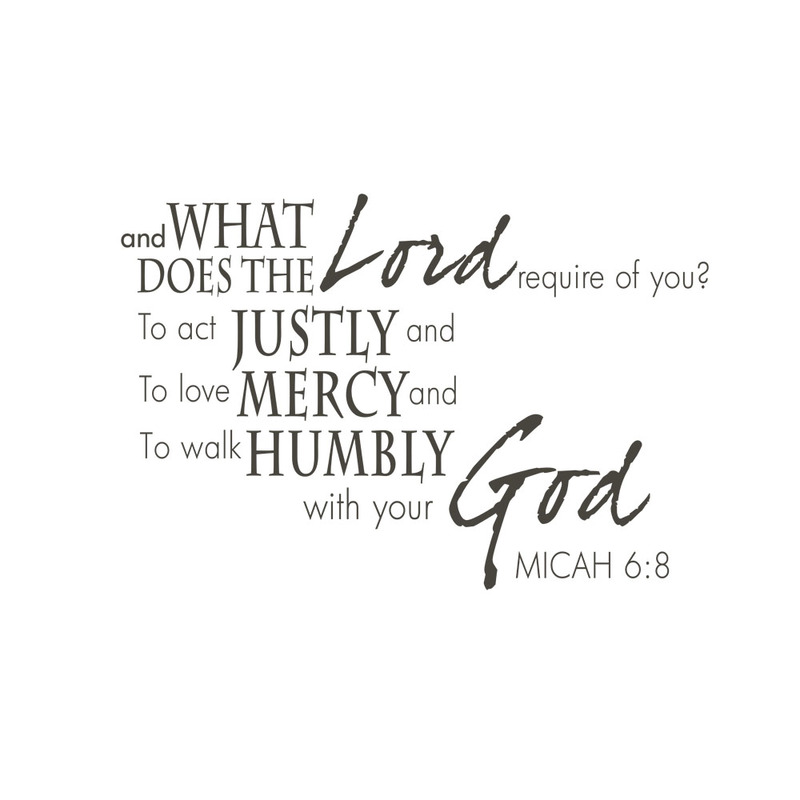 When we hear these words, are we willing to enact God’s justice? Love kindness . . . When we love our friends, can we also love our enemies? Walk humbly with your God . . . When we blame others for our failures, can we accept our faults and ask forgiveness? God asks: My people, what have I done to you, and how have I wearied you? Answer Me. When we hear these words, what do we reply? Enter the citation Micah 6:8 into the blog search bar to further explore God’s lessons and requirements. Do not give what is holy to dogs, or throw your pearls before swine, lest they trample them underfoot, and turn and tear you to pieces. This verse may be deeply meaningful for us when we consider just how precious and rare a genuine pearl is. Produced by layers of nacre, or mother-of-pearl, around a grain of sand, pearls begin as a nuisance and result as an object to be prized. Mollusks lay down deposits once they sense an intrusion in their otherwise placid lives. They transform an obstacle into an object to be admired. If we are pearls of great price, we began as these small irritants . . . and we too, are transformed into beautiful objects to be treasured. We are holy people. We are temples in which the Holy Spirit abides. We are children of God. We are body, soul, mind and heart. And all of this is a gift from God to be treasured and never taken lightly. In Song of Songs 3:4 we remember our relationship with God who loves us abundantly. If we continue to 3:5 we also remember that our lives move best when they move in God’s plan rather than our own. All things, even love, arrive in God’s time, not ours. Let us recall how loved we are, and determine to return that love to God. Let us remember how beautiful we are, and decide to live up to that beauty. Let us recall how priceless we are, and choose to act as though we believe our own good fortune. 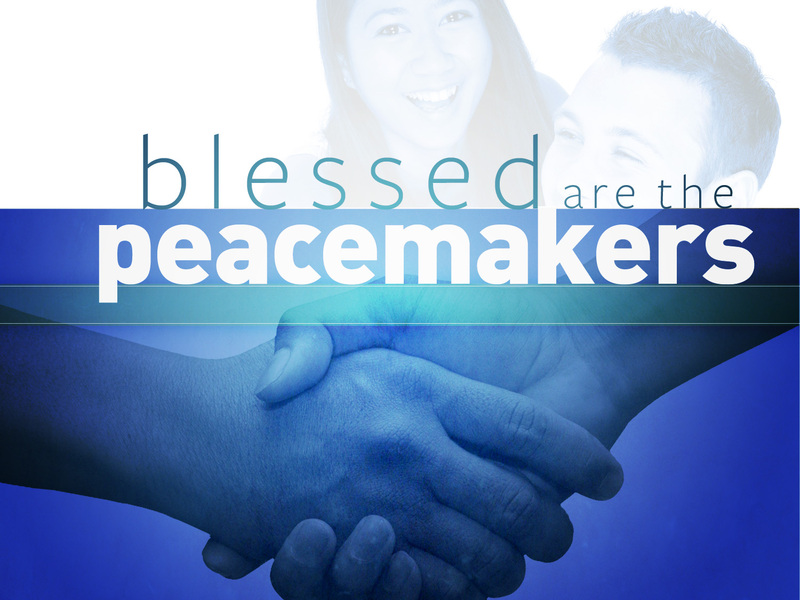 ­What does Jesus mean when he speaks of peacemakers? Is he describing those who say nothing in the face of conflict? Is he telling us that silence creates calm and confronts evil and chaos? Is he asking to create comfort zones for ourselves and our loved ones? How does Jesus enact peace? By aligning himself with those in power? By ignoring the influential? By harsh deeds and punitive actions? The peace that Jesus describes and enacts is revealed quite simply through scripture. Jesus dines with tax collectors and includes one of them in his closest circle of friends. Jesus interacts with women on a par with men. Jesus speaks and acts when called upon by the Creator. Jesus lives and moves in the Spirit. Jesus heals and saves. Jesus woos and calls. Jesus lives the life of a peacemaker . . . and asks that we follow his example. It is in this way that we become builders and workers in the kingdom. It is in this way that we become Children of God. The New Testament Letters bring us the good news that the risen Christ still walks with us each day. Paul, Peter, James, John and Jude remind the faithful that although much has been asked of Christ’s followers, much is also given. With them, we remember that there is always hope when we are overcome by doubt, always light that will pierce the darkness, and always joy, even in days of deep and unrelenting grief. Today John reminds us that without Christ, not only is there no opportunity for lasting joy . . . but what joy we have will always be incomplete. John’s first letter was written toward the end of the first century and its purpose was to deepen the spiritual and social awareness of the Christian community. (Senior 387) Today we reflect on John’s words as we near the end of this present year. 1 John 1: 4: We are writing this so that our joy may be complete. God says: I will never abandon you, never leave you without a guide, never allow you to fall into the darkness that you fear. I have great joy in mind for you. 2 John 1:12: Although I have much to write to you, I do not intend to use paper and ink. Instead, I hope to visit you and to speak face to face so that our joy may be complete. God says: I am with you every instant of every day. I never leave your side although you sometimes believe that I am far away and uncaring. When you call on me, I bring you great joy and completion. Did I not come to live as one of you millennia ago in the town of Bethlehem? I am with you still. Did I not rescue you on Calvary in order that you might live in eternal joy? I rescue you each day. Did I not enter fully into the apostles in Jerusalem so that they might carry my word and my joy to those who had no means of knowing it? I dwell within you still. 3 John 1:4: Nothing gives me greater joy than to hear that my children are walking in the truth. God says: My Spirit is in the tiniest fiber of your being. It is also in the immensity of creation. This creation is one with you and you are one with my creation. All of my works – and these include each of you – demonstrate my great love and my great joy. Open you mind and ears and heart to this joy today. Choose to live and walk, work, play and pray in and with me. In this way, you bring great joy to yourself and to others. In this way your everlasting joy is made complete. Senior, Donald, ed. THE CATHOLIC STUDY BIBLE. New York, Oxford University Press, 1990.387 & 393-395. Print. To learn about the earliest Bible papyri, click on the word Papyrus or go to: http://earlybible.com/ Click on the links to the left of the copy to view bits of the New Testament. To enlarge the writing, move the computer’s cursor over the sample. Click on the papyrus image above to read John 1:14. This wicked people who walk in the stubbornness of their hearts, and follow strange gods to serve and adore them, shall be like this loincloth that is good for nothing. For as the loincloth clings to the main’s loins, so had I made the whole house of Israel and the whole house of Judah cling to me, says the Lord; to be my people, my renown, my praise, my beauty. But they did not listen to me. Today we are presented with this image that indicates the level of intimacy God expects to experience with us. The faithful are so close to God that they share in God’s goodness and are worthy of praise. The faithful are a beautiful part of God’s plan. They are the Children of God. 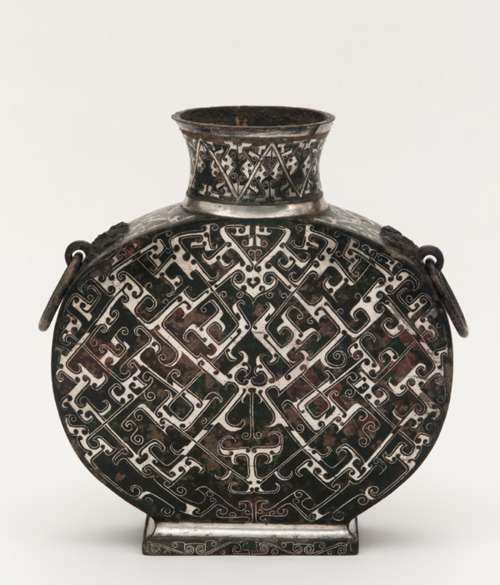 Every wineflask is meant to be filled with wine . . . Can the Ethiopian change his skin? The leopard his spots? God says: Your destiny is to live life fully as my precious, lovely children. When I say that you are meant to cling to me I do not look to demean you; rather, I look to glorify you just as you glorify me. When you act in the ways that my son shows to you, you become one with me. When you turn away to follow your little, demeaning gods, you walk away from this beauty, goodness, renown and glory. Come! Follow me! I want to bring you home to this most safe, most intimate, most loving of places. Allow me to heal and counsel you. Permit me to guide and protect you. Soften your hearts, unbend your necks, and come home to the one who wants to lift you in body, mind and spirit. The people who listen to Jeremiah’s prophecy turn away from these words; they draw away from God’s work of ministering to those on the margins and focus instead on the accumulation of wealth, comfort and goods. What do we choose to do today?